The death penalty is an inhumane form of punishment that ignores the primacy of mercy in the name of justice, Pope Francis said yesterday. Source: Crux. 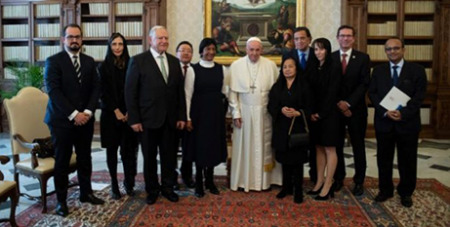 Meeting a delegation from the International Commission against the Death Penalty the Pope set aside his prepared remarks and spoke off the cuff, the Vatican said. Francis ordered a revision of the catechism’s paragraph on capital punishment, 2267, in August to assert that “the death penalty is inadmissible because it is an attack on the inviolability and dignity of the person” and to commit the Church to working toward its abolition worldwide.